There’s no doubting the fact we all need to make a conscious effort to work towards a sustainable future. We have made the commitment to a Greener Tomorrow and are continually striving to achieve this goal. Part of our Greener Tomorrow strategy includes our Tree Planting program. 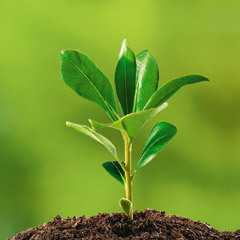 We have committed to planting a tree for every new Cloud Telecom member and further trees for every year of custom. Not only will these trees have a positive effect on the environment but they are strategically planted by our partners, Trees for the Future, in areas where they will have positive effects on their surrounding communities. Below are some of the practices we have put in place to reduce our own carbon footprint. Many of these can be easily adopted for use in your business.